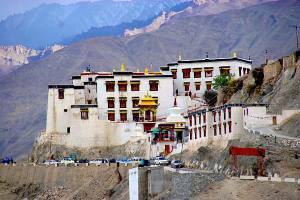 There are several tour operators at local and national level to offer you different tour packages to visit Leh Ladakh. Choice of duration will vary based on individual interest and time available. Here are some tips for you to select best package for you. If you are reaching Leh by flight then minimum 24 hours rest is required at Leh for acclimatization before you start travelling to valleys and passes located at higher altitude. All flights take up and land at Leh during morning time only so you will not get any time to cover any sightseeing on the departure date. 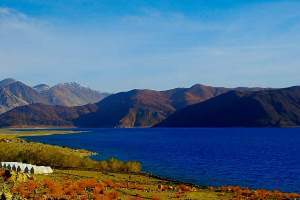 Similarly on arrival at Leh you need to take rest that full day and only on next day you can start your local sightseeing. Air fare upto Leh goes as high as 8 to 10 thousand if you book after June. However you will get at a cheaper rate if you book in the months of Jan or Feb to travel in the months of May, Jun or July. If you have not booked early then better to go with package tours which includes air fare from Delhi or Mumbai. Leading tour operators like Thomascook and Makemytrip offer such services as they have tie-ups with airlines. 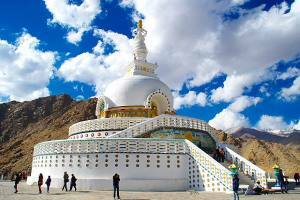 If you have booked your air tickets then it is better to go with any local travel agents of Leh for booking of rooms and vehicle or total package for your Ladakh trip. 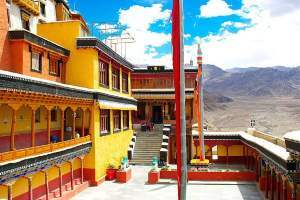 You can come to Leh by your own personal vehicle or use commercial vehicles from Srinagar or Manali to reach Leh, however you can't use commercial vehicles to go for local sightseeing or visit to nearby tourist spots at Leh. You are forced to use local taxies registered with Leh Taxi union to visit tourist places. If you have hired a cab from Manali or Srinagar then you have to leave your vehicle at designated parking areas at Leh and use the service of Leh Taxi union. To impose such restrictions Leh Taxi Union has check posts on every entry points and they ask for permit slips issued by Taxi Union. Our driver who is a member of the Taxi union was collecting such permit slips ( called Chalans ) every day from the Taxi Union office based on the tour plan. Personal vehicles are exempted from such restrictions. Starts from May and continues till August / September and after September temperature falls and because of low temperature few tourist visit Leh. 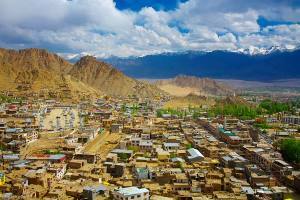 Standard Tour Plans to visit Leh � Ladakh region. 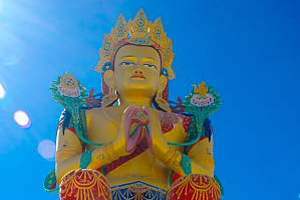 Here are some standard tours plans to visit Ladakh region. These are suggestion only and you can change to match your requirement. If you are arriving by flight then it is strongly advised to take rest on first day of your arrival to acclimatize your body to low oxygen level. You require light woolen dress to visit Leh town but carry heavy woolen dress as they are required at Khardungla pass , Pangong Lake and other areas. Price per Person ( Approximately ) 40,000/- including air fare from Delhi or Mumbai. The price will vary ( or discount ) based on time of booking. 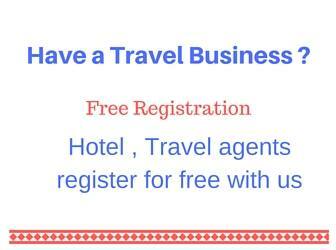 You will get discount of Rs 2000 on early booking. What you are missing in this package ? Price Per Person 31000/- including air fare from Delhi or Mumbai.